Astoria's Harpsichordist: Happy Birthday, Bach! A truly great composer that I have had a tricky relationship with over the years. 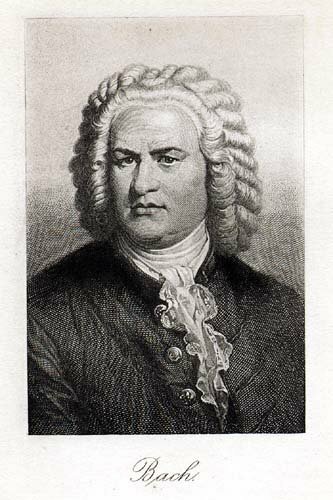 However, that doesn't really matter right now - Bach was a super composer and I recognize that. I'm studying and re-exploring his Goldberg Variations right now. Omg. I think in this picture Bach is thinking to himself, "Girlfriend, I don't need your help to be fabulous." Perhaps. I think he looks a little worried, like he left the iron on or something.